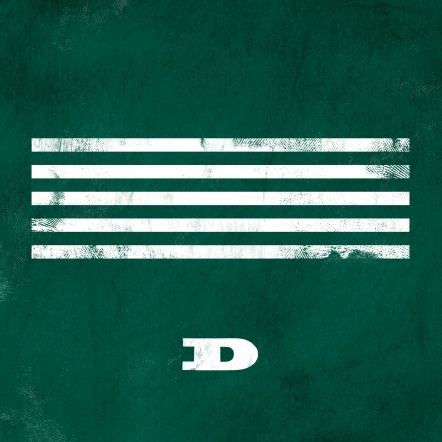 For those of y’all who have been living under a rock [and don’t be ashamed and embarrassed because I too have been to be quite honest], Big Bang released their two latest releases ‘Sober’ and ‘If You’ for the D series of their MADE project. They have released four songs so far including ‘Loser’, ‘BAE BAE’, ‘Bang Bang Bang’, and ‘We Like 2 Party’ and with the addition of ‘Sober’ and ‘If You’ has now increased to 6 songs in total so far with 2 more to go to complete the MADE project. There was unfortunately only one music video released for the two tracks which was for the more upbeat and rock-styled track ‘Sober’ while there was only the audio for mellow and sentimental ballad ‘If You’ (which I wished would have also gotten a MV omggg). I’d have to say that out of all songs released for each letter so far, ‘Sober’ and ‘If You’ has to be my absolutely and no doubt favorite. I wasn’t a big fan of ‘A’ and I only really liked ‘Loser’ from ‘M’ so to hear ‘Sober’ and ‘If You’ to which both I really really really like and enjoy, I am quite satisfied and happy. Upon the first listen for both songs, I really liked them both, obviously enjoying ‘If You’ a little bit more than ‘Sober’ just because I do favor ballads and slow songs more than upbeat pop songs, but I also do enjoy ‘Sober.’ I think the part that changed my mind on how I felt with that song was the chorus. ‘Sober’ is more rock and I’m not really a big fan of that music genre, but the chorus worked for me and it made the song a lot better and more catchy so mainly for that reason I enjoyed ‘Sober.’ I think the music video’s really pretty and it’s funny how in the MV they’re being anything but sober. Haha. Moving onto ‘If You’…I don’t think there are any words to describe how that song is. It’s so beautiful and I really like it because it reminds me of ‘Loser’ which I also really enjoyed. I think the line distribution for that song was pretty equal as well (and line distribution is a huge pet peeve of mines in the K-Pop world) so that’s another thing that I think was great about ‘If You.’ The lyrics are so sad but relatable which is great. I could just hear the emotions of the members as they sang and you could tell that they were putting all their feelings and emotions into this song and I think that’s one of the best things about any song and group really. Although the whole song is wonderful and amazing, I’d have to say that G-dragon’s ‘If You’ during the chorus sticks out the most to me because it’s like he’s yearning for his past lover and he wants her to hear him out and he sounds so desperate and ugh, it’s perfect really. Based off what I’ve heard, Big Bang is doing great so far with both songs but I’m not surprised at that…because, well, it is Big Bang we’re talking about.